Have a good day blog viewers! How’s your day today? By the way, this girl’s name is Melimar, 20 years of age. 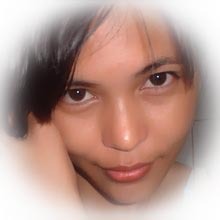 A caregiver student of Lifeline Health Institute of Bacolod City. She has the height of 5’3″ and weighing 95 lbs. Her vital statistics is 34-24-35. Is this your beat to be one of the contestant in Masskara Queen Festival? Don’t you know that Bacolod City will celebrate the Masskara Festival this coming October 1-20. And searching for masskara queen is part of the said event. I hope you guys will share your time celebrating this event. Have a nice weekend! Have a good day blog viewers! How are you today? Have you seen a baby during his first day after birth? 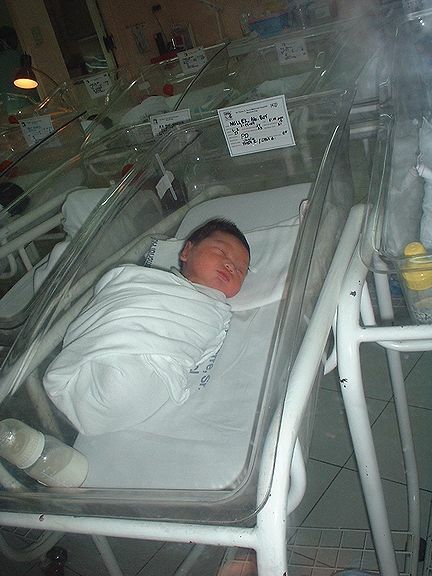 Actually, this is the first day of the baby, and he is placed in the nursery room. In private hospitals, babies are separated to their mothers. They are feed through bottled milk. The baby is given 24 hours to stay in the hospital for observation if he/she is ok. Unlike public hospitals, babies feed through their mother’s breast. If the baby is sick and hungry, temporarily, he/she will bring by the nurse to his/her mother and time for breast feeding. If the baby is ok, 24 hours lying down beside her mother. Both hospitals strictly following the policy of 1 day stay of both mother and a baby, after that permitted to leave. Have a pleasant day to all blog viewers! How’s your day? By the way, have you been wounded or fractured? If not yet, lucky you are coz’ you’ll not be like her. Like them, they are trained how to do bandaging. Actual demonstration is being shown by their professor, after which they will perform it with their partner and then,be checked if its correct. So far, there are many types of bandaging depends in what part of the body is injured or wounded. This is actually a helpful tips on the body.